The best supplements often offer a variety of ingredients that help you achieve your fitness goals. For people who are after a leaner physique while striving to build muscle, the solution is almost always BCAAs, or branched-chain amino acids. BCAAs help prevent muscle breakdown to make it possible for people to build muscle while performing exercises that reduce body fat. Ergogenix ErgoChain is a BCAA supplement that promises to help reduce muscle breakdown and aid recovery. If anything, science has proven that BCAAs work. There’s no real debate there. However, with various BCAA formulas in the market today, it’s difficult to measure which brand gives you the best results. 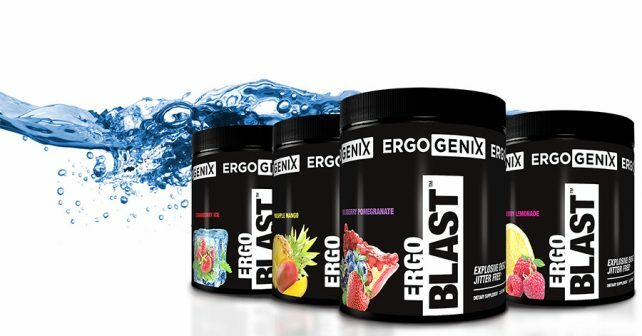 If we base it on reputation alone, Ergogenix has a solid reputation for its other products such as ErgoBlast and ErgoDrive. However, other successful BCAA supplements offer far more than just BCAAs to be effective. Does Ergogenix ErgoChain have what it takes to be the best BCAA supplement? Check it out. Ergogenix ErgoChain isn’t Ergogenix’s first take on BCAA supplements. Its first BCAA supplement, Ergogenix ErgoBCAA, has a slightly different variation of BCAA. Ergogenix ErgoChain is a 4:1:1 ratio of L-Leucine, L-Valine, and L-Isoleucine, while ErgoBCAA has a 2:1:1 ratio. Other values remain the same, and some users might not be too kind over the idea that this is the second try of the company to produce a successful BCAA product. BCAA formulas are popular among people who are going through the cutting phase. There are literally dozens of other BCAA supplements that offer the same combination of ingredients, just varying on the ratio of BCAA involved. BCAA is a relatively simple requirement in fitness. People need BCAAs to reduce the risk of muscle breakdown, and anything with BCAAs would likely help in achieving this effect. However, many other supplement companies have come up with their own BCAA blend that combines various ingredients to produce a combined effect that ultimately helps build muscle and reduce muscle breakdown. These are the products that really make a mark in the industry. However, Ergogenix ErgoChain isn’t on the same level as other BCAA supplements. Other supplements have combined BCAAs with important ingredients such as nitric oxide boosters, glutamine, and creatine, while Ergogenix ErgoChain only has a selection of vitamins and minerals to support its formula. Formulas with combined ingredients are likely to achieve a better result than ‘pure’ formulas, since the synergy between ingredients would likely produce a better result, but Ergogenix ErgoChain only has basic vitamins and minerals that you could easily get from your daily multivitamin. Everything’s not lost for Ergogenix ErgoChain. If you are looking to achieve the best results, you can stack Ergogenix ErgoChain with other supplements, and you are likely to achieve better results than supplements with an all-in-one approach in their formulas.